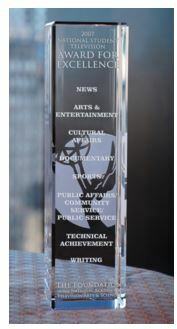 The Regional High School Student Television Awards are intended to be an incentive for the continued pursuit of excellence by those studying media and journalism. Entries will be accepted through March 15 from high schools with media programs in the Chapter region, which extends from Visalia to the Oregon border and includes Reno, Hawaii and Guam. Eligible media must have been created between March 1, 2018, and Feb. 28, 2019. 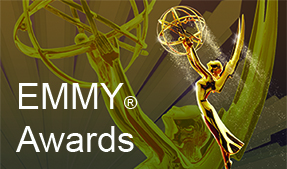 Categories include News, Sports, Public Affairs, Arts and Entertainment as well as crafts. Last year, a record 13 Pillars for Excellence and 17 Certificates for Merit were awarded to chapter high schools. Five high schools received Pillars last year. They were Buchanan High School, Clovis, with four; Moanalua High School, Honolulu, and Whitney High School, Rocklin, each received three; Wai’anae High School, Honolulu, received two; and Tamalpais High School, Mill Valley, received one. Certificates of Merit went out to seven high schools: Moanalua High School and Wai’anae High School, Honolulu, received four; Tamalpais High School, Mill Valley, and Whitney High School, Rocklin, received three; Buchanan High School, Clovis, Franklin High School, Elk Grove, and Maui High School, Kahului, each received single awards. Two years ago, four national awards were given to Wai’anae High School in Hawaii. Entrants must apply by March 15. If you have any questions, please contact Chapter Executive Director Darryl Compton at Darryl@emmysf.tv.